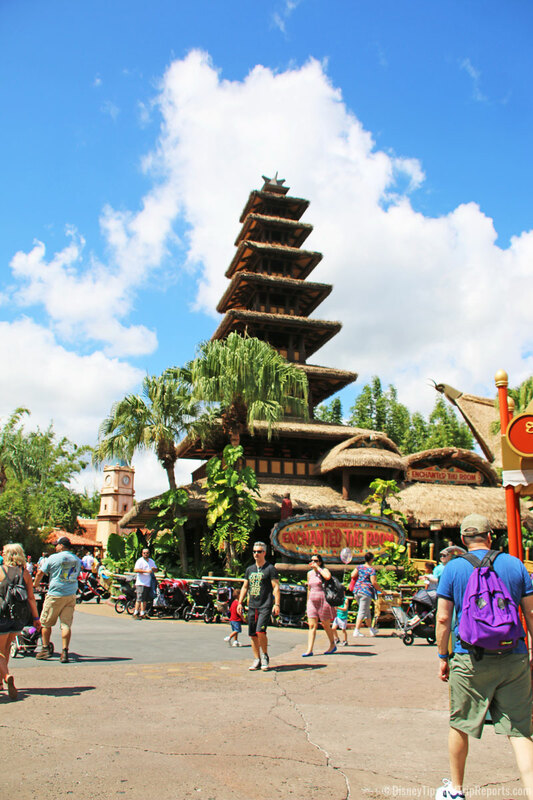 Day 11 of WDW-40, the latest of my Disney Trip Reports, is here! Today is (was!) my 40th birthday!!!!!!!!!!!! It was also the day that we would be meeting up with my brother and his fiancée as they arrived in Orlando last night. We spent the day at Magic Kingdom, and my birthday lunch was at The Crystal Palace. We saw both parades, and watched Wishes. It was such a fun day, I laughed so much, and couldn’t have asked for a more awesome 40th birthday! 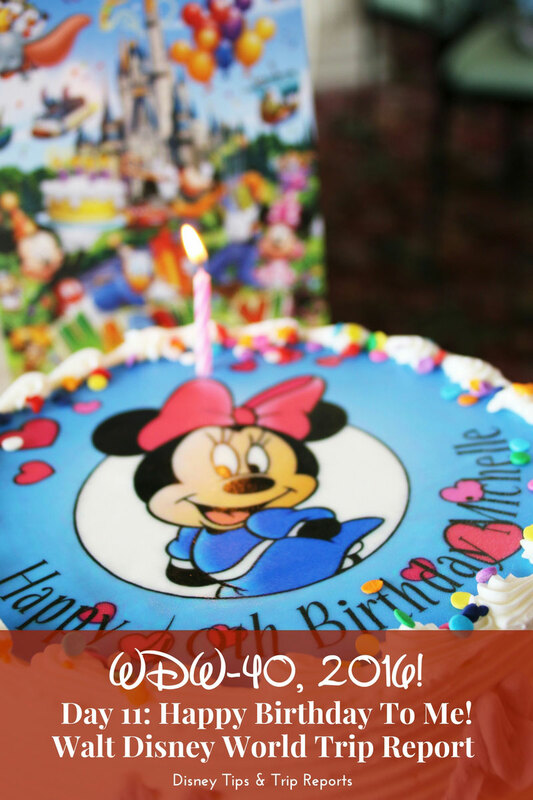 I wrote my first Disney Bucket List in 2011 and one of the things listed was to celebrate my 40th birthday at Walt Disney World. Well, today I was doing exactly that! 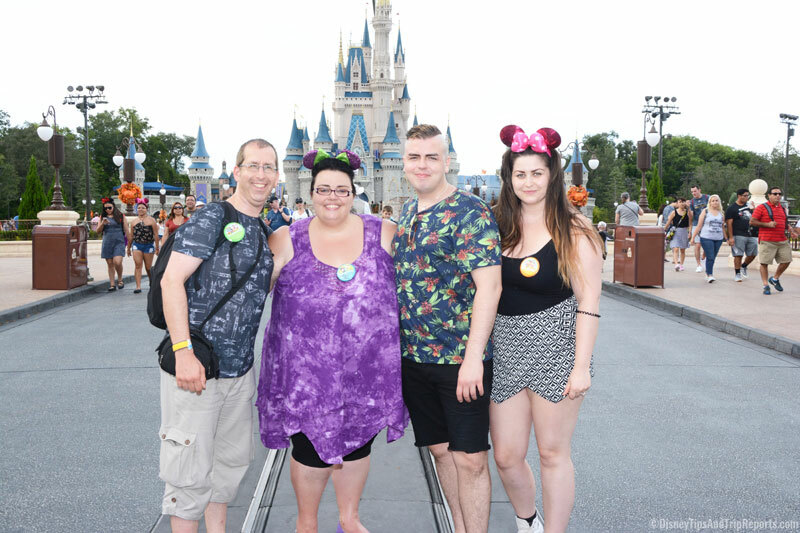 It felt awesome to be waking up on my 40th birthday at our DVC home resort – Polynesian Villas & Bungalows, knowing that I’d be meeting up with my brother, Chris, and his fiancée, Meg in Magic Kingdom very soon. As awesome as it was, it did feel weird that my son, Liam wasn’t there with us. Because of the time of year, he had college (and work) and had decided to stay home with his dad. I do wish my two sisters had been able to come (another thing on my bucket list is to visit with all four of us) but they work in schools so it was a no-go for them. However, I did celebrate my [un] birthday with all of my family and friends, back in August with a Hawaiian themed party which was a lot of fun! Okay, back to today. Steve had already given me my birthday presents before we came out to Florida, but had arranged for some flowers, balloons and a bag filled with Disney goodies to be delivered to our room. They were actually delivered a few days before – when we first arrived – and I’ve already shared the pictures before but here are a couple of them again. I held off opening the bag until my actual birthday so it would be like opening a present! He gave me a birthday card, and had arranged a Disney birthday badge with my name and age on it- which I of course wore with pride throughout the day! After getting ready and having some breakfast in our room, we took the Monorail around to the Magic Kingdom (I will never tire of doing that!) to meet up with Chris and Meg. It really made my day for my kid bro to be there – he’s 13 years younger than me, so we didn’t really become close until he (we!) grew up. He’s an absolute scream, and between the other comedian in my life – my husband Steve, I don’t think I’ve ever laughed so much. Not just on this day, but all the time we spent together in Orlando. I was disgruntled to see that there was a hulking great crane poking out of the back of Cinderella Castle. Having never been at this time of year before, I hadn’t realised this was a common feature as they were putting up the Christmas lights (or so I was told). Because of said crane, I didn’t take many shots of the Castle (which you know is one of my favourite things) this year. 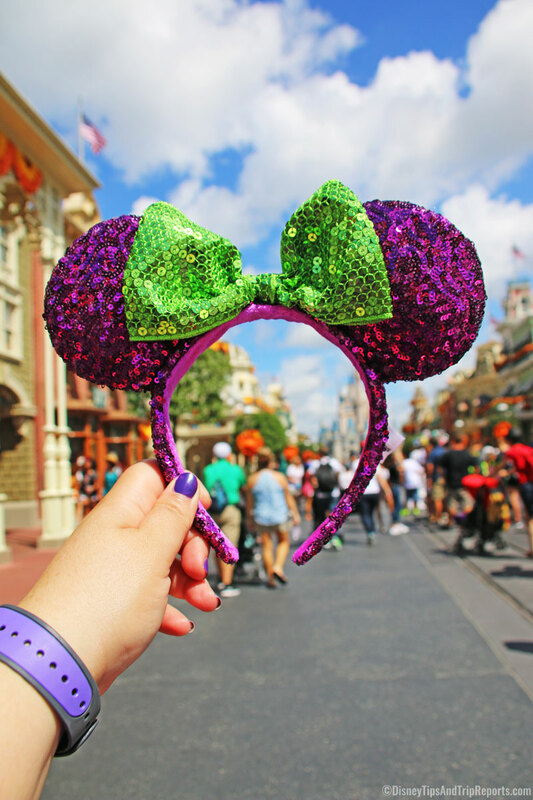 It is also why my Minnie Ears “Insta” pic his off centre – to hide the damn crane! Meg, who lives for Instagram wasn’t too pleased either! I felt it such a shame as it was her first time seeing the Castle in real life, and there was this ugly thing poking out of it! Magic Kingdom was heaving – I don’t know why it was so busy, and to be honest, I was pretty shocked at how busy everything was for “this time of year”. I have always been led to believe that September is fairly quiet, but like October 2015 (similar scenario) I didn’t feel any difference in September to when we have been in August! Jungle Cruise takes you on a journey through some of the world’s most treacherous rivers. In the Amazon you’ll see flowering orchids and giant butterflies under a lush green canopy. Then in the African Congo you’ll tour an abandoned Pygmy site, and see a camp overrun by curious gorillas! Along the way you’ll face hungry lions, bathing elephants, and hippos. Marvel at the ancient ruins, and make sure you hold onto your head as you cruise by a tribe of headhunters! You have to hope that your skipper will guide you safely back home! This ride is very punny, and tongue in cheek. The experience you get, I think, really hinges on the skipper and whether the jokes land or not. As we boarded our boat, and I just knew it was going to be a riot. Our skipper cracking jokes before we even disembarked, and between him and my brother, well, my face hurt from laughing so much. My brother then declared that he was peckish, so we stopped at Golden Oak Outpost in Frontierland so that he could buy something to munch on. He bought chicken nuggets with waffle fries which he ended up sharing with us. I didn’t keep a record of what these two spent on food (unless we ate together) and I guess these are around $8? 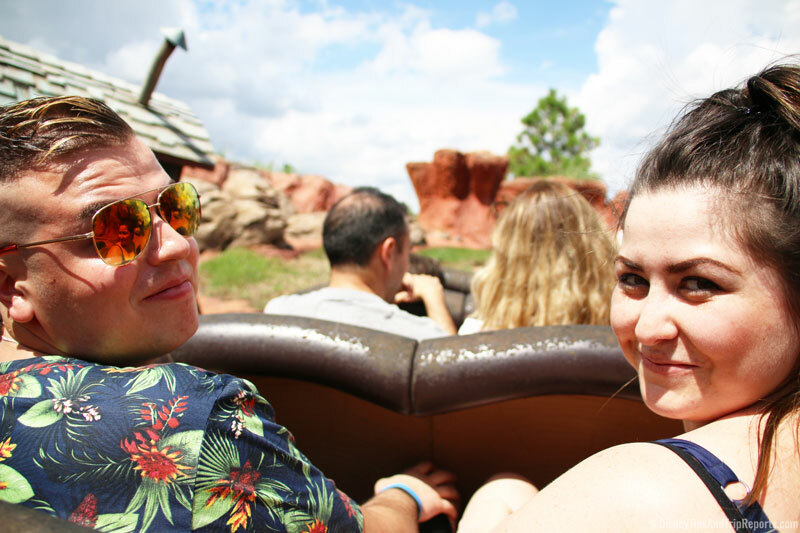 We sat at a table opposite – I think it’s part of Pecos Bill’s, and it was an opportunity to top up the sun cream and have a drink too. 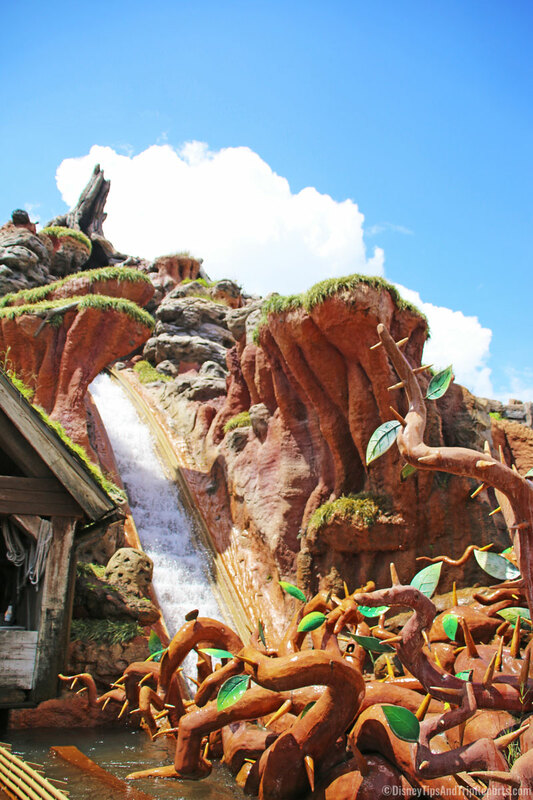 Splash Mountain was next – one of our favourites! Since I was in my ECV, we were directed to a different entrance which meant I could drive it all the way to the top of the ride, and transfer from there. This was very handy for me as I was panicking about walking up all the stairs that you need to, to get to this ride. I tried my new fast lens on this ride in the hope that I would get something half decent – all I can say is that I tried… definitely more practise required! 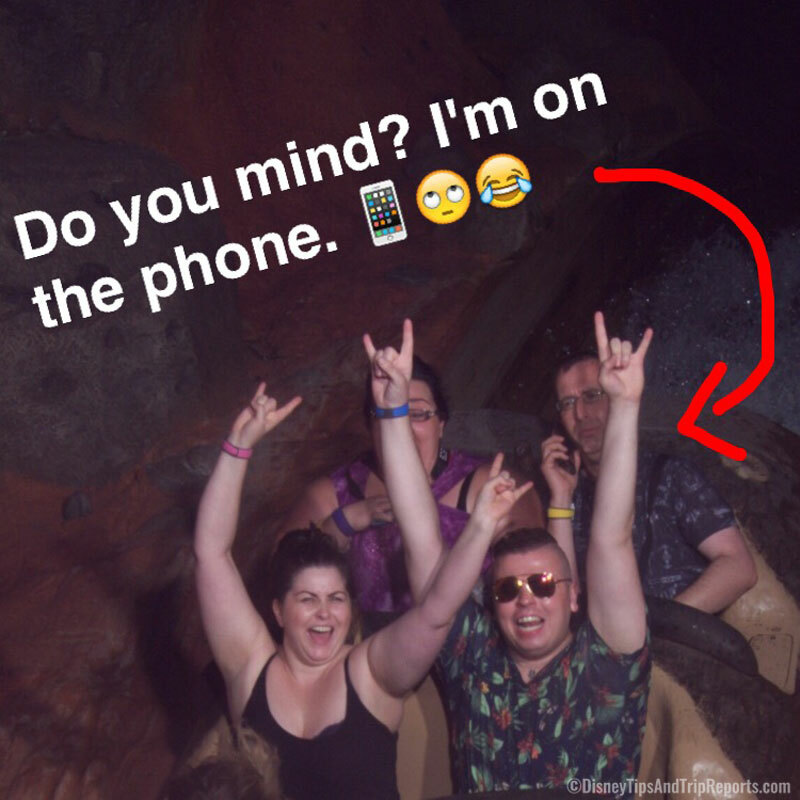 The name gives it away, but if you don’t know what Splash Mountain is, it’s a log flume ride where you will get wet. With three dips and a 5-story drop there is plenty of opportunity – just how well will depend on where you sit in the hollowed out log! Before you hit the big drop, you gently float along the bayou, and accompany happy-go-lucky Br’er Rabbit from his home in the Briar Patch on a search for his “laughing place.” But be warned: Br’er Bear and Br’er Fox are in hot pursuit of the roaming rabbit and they’ll do anything they can to catch him! Over 100 talking, singing, storytelling Audio-Animatronics critters call Splash Mountain home, and you’ll find yourself singing along to classic Disney songs like Zip-a-Dee-Doo-Dah, How Do You Do? and Ev’rybody’s Got a Laughing Place. On the big splashdown at the end of the ride, there is a photo opportunity just as you begin the descent – make sure you strike a pose!